Kayala: 31 Sunday C: Zacchaeus, Come down! 31 Sunday C: Zacchaeus, Come down! This Sunday’s passage tells the story of Jesus’ meeting with Zacchaeus. It is a very touching story, full of character, so deep that we are always finding new things in it, treasures we had not noticed before. God however did not write the story for us to admire St Luke’s extraordinary artistry as a storyteller, but so that we could recognise ourselves in it and discover how he has been and continues to be at work in the world. There are three characters in the story: Zacchaeus, Jesus, and the complainers. Each of these is a universal symbol; all people and all communities have lived the three stories at one time or another. In your meditation then, you are free to identify with any of them – though not at the same time. Zacchaeus is the symbol of those who experience that “salvation has come to their house.” The word “house” invites us to recognise that it “comes” to both individuals and communities. – are a pledge that we will experience it. – by the other members of our profession. We felt able – perhaps for the first time – to “stand our ground” and speak up for ourselves, affirming who we were, our past failures and the good deeds we intended to do. – labour and management experience reconciliation in the work place. The details of the story invite us to retrace the steps which lead to the moment of “salvation”. a) The tentative start: Zacchaeus was “too short” – he was not up to meeting Jesus as an equal. The “sycamore tree” he climbed was a safe place from which he could peep out; the most he could hope for was to “catch a glimpse” of Jesus. b) The moment of grace: he experienced Jesus “looking up” at him, and heard those wonderful words, “Come down, hurry, because I must stay at your house today.” This represents the time when we no longer feel isolated; we can invite Jesus (in whatever form we meet him) into our home, not at some time in the vague future but “today”. We feel totally free, do what we have to do without anyone having to tell us. Like Zacchaeus, we are no longer “too short” but can “stand our ground”. c) “They all complained when they saw what was happening”: how real this is! Salvation is never a simple process, it always has a negative side – a “letting go” of something that was holding us back. We continue to hear voices from the past (parents, teachers, priests, nuns) telling us that we are “sinners”, not good enough to have Jesus stay at our house. Now we hear another voice telling us that they are merely “complaints,” not the truth. God’s truth about us is that we too are “children of Abraham.” We celebrate the Jesus person who said that to us. Jesus is the symbol of the care-giver, the one who “comes to save what was lost,” “bringing salvation to houses” by inviting the marginalized (communities and individuals) into the mainstream. Here again we must not allow ourselves to be vague. – managers with employees who are awkward and are forever doing or saying the wrong thing. – in work places where industrial relations have broken down. Jesus proceeded in steps, each of which we can identify with and celebrate. a) He “looked up”. This is very significant; he was “going through the town” but still found time and energy to notice Zacchaeus hiding in the tree. d) “Today salvation has come to this house.” Here again no condescension, it is a moment of celebration. e) “This man too is a son of Abraham.” Jesus makes an “option for the poor”, he consciously and deliberately protects the poor against the “complainers”. f) The “Son of Man came to save what was lost.” In the light of the above, we can see that he is neither possessive nor condescending; he “saves” by providing the right environment so that Zacchaeus decides of his own accord to be the best he can be. The complainers are ourselves when we are mean and self-righteous. 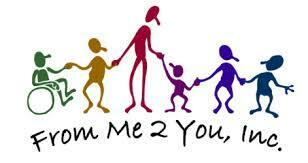 We are like them as individuals; as the Church; as members of a social class, race, ethnic group, or nation. – our thinking is static, we do not allow for growth on the part of those we have categorized as “sinners” – failures in some way. b) The end of the journey is when we are able to say, “He too is a Son of Abraham.” We celebrate the person (or it could have been an event) who led us along that journey. – recognise that the journey will be very demanding (petition). Lord, we thank you for the people who have been Jesus for us. you sent someone who looked up and saw more in us than we ourselves did. just said they were happy to stay in our house. We felt a surge of joy within us. and commit ourselves to making a new start. and experienced that you came to seek out and save what was lost. will be more like Jesus in seeking out those who are lost. because they feel inferior and want merely to catch a glimpse of us. so that they may experience that they too are descendants of Abraham. to save what was lost. we would have seen salvation come there. when we see your saints staying at a sinner’s house. Lord, forgive us for preaching salvation in a way that is possessive. and choose freely the way of salvation. IntroductionIs there a more memorable scene in the whole gospel than that of the little man Zacchaeus climbing a tree to catch a glimpse of Jesus? 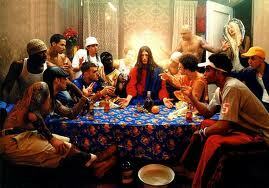 Then despite Zacchaeus being the outcast in the community, Jesus choosing to have supper with him. The Lord has come among us today, coming to seek and save, and calling us to share his supper now in this sacred banquet. Let us focus our minds on our need to be forgiven, our need to begin afresh, and that we are gathered around the Lord’s table. Gospel NotesThis story, found only in Luke, brings together several of his major themes in a most memorable incident. Zacchaeus is a marginal Jew, someone on the fringes of society, who is perceived as abandoned by God because of his actions. He is typical of those to whom Jesus says that he is sent in his work of re-gathering the scattered flock and forming the New Israel. Four themes come together in this reading. First, there is the theme of the hospitality of God and his acceptance of those who seek him. 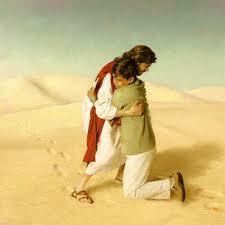 Jesus calls on the man to be hospitable and then accepts him. Both Zacchaeus and Jesus behave in a God-like way — so distinct from the expectations of those around that they voice their horror — and by so doing they mirror the Father’s love and forgiveness. Second, Zacchaeus becomes part of the new table fellowship that is centred on Jesus. This new belonging and eating together forms the New Israel where the boundaries are those of welcome for all who seek the Lord and care for all who are in need. Third, there is the theme of a proper attitude to wealth, which must be seen in the context of care for the poor, and of acting with justice. Lastly, it is a Son of Abraham who is converted. He is not converted back to what he was or should have been, but is converted to be part of the new people who have accepted the Son of Man. How this story was understood in the late first century is revealed to us in a little detail that is certainly the voice of Luke: ‘Today salvation has come to this house’ — note it is not to this man. This shows that it belongs to the time of the household churches — found in Acts where baptism is often of households — and these households (which cannot be identified with what we call ‘a family’) were the location for the gatherings of the Christians for the eucharistic meal. Therefore, the meal of Jesus and Zacchaeus would have been seen as one in a series of meals of the new people, of which their own Sunday assembly at a eucharistic meal would have been another. firstly, that when the divine­/human encounter is presented in this way it becomes a sim­ple transaction (‘he has what I want and I can do something to get it from him’ – the encounter with a dentist or buying the paper are functionally similar). Secondly, that message can be taken out of any number of gospel scenes or parables which reduces the richness of the gospels to a series of oft-re­peated slogans. Thirdly, it is driven by its sacramental con­clusion. If one starts from the position that the Sacrament of Penance is of great importance, then any gospel story that seems to promote its frequent reception is then seen to be un­derstood if it serves that purpose. However, the task of the preacher of a homily at the Eucharist is to present the good news as it is found in the church’s stories, and preaching on the importance of a particular practice is another matter. 2. There is a central theme of reconciliation in this story, but the key to it lies in its particular context of welcome and accept­ance. Moreover, there is no hint that Zacchaeus considered himself a sinner or that he was penitent or contrite. He merely states that he will now be someone who will care for the poor and that if he has cheated anyone, he will repay fourfold. society is intended to be a community: they are all children of a single father – Abraham – and they are supposed to be the community of the covenant which bears witness to God’s working in human history. 4. The first act of Jesus is to cut through all the divisions and offer welcome and acceptance to this son of Abraham. 5. Jesus then welcomes Zacchaeus back, not to an abstract no­tion descriptive of an ideal covenant community (the qahal/ ekklesia of the Lord) but to an actual table fellowship. He is welcomed back into the community and the community can accept his hospitality: a new society is formed around the table of the meal. This new table fellowship is, for Jesus, the coming kingdom of God: in the new mutual acceptance of his table, the transgressions of Israel become past events, a new way of living is begun, and the Father’s home – salvation – is foreshadowed. 6. Zacchaeus can rejoice that the new life of the kingdom had begun and he has been given a place in its banquet, so he too can begin to live life in the new way that is appropriate in the age of the Christ. 7. Jesus’s welcome and acceptance is both the good news and the new life. It is sacramental – but not in terms of the Sacrament of Reconciliation – because sharing in his table both establishes the new covenant and anticipates the life to come; and it is in terms of that sacramentality of the Lord’s table fellowship that we gather for the Eucharist. Is our table fellowship today, here, one which breaks down the barriers and divisions that prevent us acting as the New People? Is our gathering one which can be seen as modeling the wel­come of the kingdom? Is our community one with the right attitude to wealth and the care of the poor? Again this Sunday a tax collector plays an important role in the gospel story. This time, however, he is not a character in a parable but a real life person whose experience of Jesus changes him and causes consternation among those who know him. Zacchaeus would have been well known in the Jericho area because as a tax collector he was considered a collaborator with the occupying Roman forces. He would have bought the right to collect taxes there and probably would not have been too scrupulous about how he made his profit. Because of his stature he was also possibly a figure of ridicule. Imagine then the surprise of the people of Jericho as Zacchaeus is the one Jesus speaks to and it is to his house that Jesus goes. Once again in Luke the themes of repentance and forgiveness are linked to the refusal of the so-called virtuous to celebrate this man’s return to the fold. An interesting feature of biblical history is the extent to which problems are caused not by the godless sinners but by religious zealots of various kinds. The story of Zacchaeus is a joyful one but most of the witnesses, who are probably fervent and devout people, don’t see it that way. Instead they complain. The troubles in Thessalonica were probably stirred up by the lunatic fringe there and Paul is called upon to offer some balance and help them focus on the essentials. This should serve as a kind of warning to us. We need to be careful about what drives our religious fervour and so ensure that we are not hindering the spread of the gospel by our self righteousness or our dogmatism. In the presence of Jesus, Zacchaeus, the little man with a big story, found out who he, really was and,what he was made for. That’s the way it is with Jesus. His big story wasn’t impressive. The whole town knew of his corruption, and his exploitation, Many could tell a story of being diddled by him into paying more tax than was just. He carried this burden all the time and somehow the arrival of Jesus impelled him to climb a tree so that his life would be changed. Our stories are all a mixture of good and evil. We carry burdens of guilt and sin and hurt and anger. We need to get free and be the self we can be. Zacchaeus found he wasn’t the mean person he had been showing all his life. He found that restoration of ill-gotten gains, and a promise to help his neighbour, would bring more happiness than his past. He found in meeting Jesus the acceptance that allowed him to change, to go public on his change, and to continue a changed life no matter what others thought. He was made for community, belonging and sharing; not for isolation, loneliness and greed. He knew now he was made for love for he found himself loved by God in Jesus, so that the one everyone was talking about visited his house now. It didn’t make Jesus popular. They blamed him for going to the house of someone like that. IT s often like that; we would like Jesus to look down on the ones we look down on. The only time Jesus looks down on us is from his cross – to raise us up to the heights of love and humanity we are made for. As the chief tax collector of Jericho, a very prosperous trade and agricultural village just northwest of Jerusalem, Zacchaeus was a very unpopular man with his fellow Jews (see last Sunday’s notes on tax collectors). Though very wealthy, Zacchaeus (the name, ironically, means “clean”) was a very unhappy and lonely man who desperately sought the peace of God taught by this rabbi Jesus. But it is Jesus who takes the initiative and seeks out Zacchaeus, calling Zacchaeus down from the sycamore tree and inviting himself to Zacchaeus’ house. In seeking out Zacchaeus, Jesus calls forth the good will of Zacchaeus that his neighbors fail to see. The Messiah has come explicitly for the Zacchaeuses of the world: to lift up the fallen, to seek out the lost, to give hope to the poor and the forgotten. In today’s Gospel, Jesus affirms and upholds the compassion and integrity of the shunned tax collector Zacchaeus, transforming the life of the man in the sycamore tree. We are called by Christ in the same way: to respond to the love of God in whatever way we can and to enable others to do the same, thus transforming the darkness that engulfs us into the light of God’s peace and justice. Loved by God, our Creator and Father, and redeemed by Jesus, every human being has much to give, if we enable them to give and their gifts to be accepted. In our own humble efforts at kindness and understanding and our seemingly inconsequential acts of generosity and forgiveness we can bring to our own homes the “salvation” that Jesus brings to the house of the faithful Zacchaeus in today’s Gospel. The Gospel today shows us clearly the attitude of God towards sinners illustrated in how Jesus treats Zacchaeus the tax collector. Although his profession would have made him very rich, Zacchaeus led a lonely and isolated life in spite of his wealth. He had heard of Jesus and his reputation in dealing with prostitutes and sinners. Zacchaeus hoped and wanted to see Jesus. 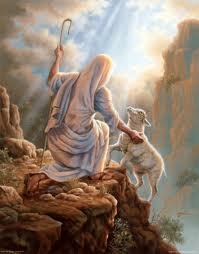 He hears that Jesus is passing that way but he is lost in the crowds and is too short to see Jesus. But he grabs the opportunity of seeing him by climbing a sycamore tree to get a glimpse of Jesus. Perhaps, the crowds are amused by this short man, a respectable tax collector, who is perched on the tree. But Jesus does not pass by without noticing his effort. He stops, looks up and calls Zacchaeus by name. “Zacchaeus, come down! Hurry, because I must stay at your home today!” Zacchaeus, cannot believe his ears, Jesus is coming to his home and wants to stay with him! The impossible has become possible! The crowds are enraged because Jesus has invited himself to the house of a sinner, a tax collector, a traitor and friend of the Romans. Jesus is not bothered by the reaction of the crowd. He does not see the sins but he sees the sinner and reaches out. Jesus’ attitude touches Zacchaeus and the man who had been collecting riches all his life now is ready to give it all to others, He no longer needs his riches, he has found Jesus. It is worthwhile noting that Jesus does not demand repentance before entering into Zacchaeus’ home. Jesus overlooks the wrong doing in the hope that he will repent. He gave Zacchaeus the opportunity to change in the atmosphere of unconditional acceptance. We change not because God forces us to change but only when we experience His unconditional acceptance even in our sins. God comes to us in spite of ourselves! A woman was at work when she received a phone call that her daughter was very sick with fever. She left her work and stopped by the pharmacy to pick up some medication for her daughter. On returning to her car she found that she had locked her keys in the car. She was in a hurry to get home to her sick daughter. She found a coat hanger there. Then she looked at the hanger and said, “I don’t know how to use this.” So she bowed her head and asked the Lord to send some help. A man got out of his car and asked her if he could help. “Please can you use this hanger to unlock my car?” she said. He said, “Sure.” He walked over to the car and in less than one minute, the car was opened. She hugged the man and through tears, she said, “Thank you so much! You are a very nice man.” The man replied, “Lady, I am not a nice man. I just got out of prison today. I was in prison for car theft and have only been out for about an hour.” The woman hugged the man again and with sobbing tears cried aloud, “Oh, Thank you God! You even sent me a professional!” –While we are all sinners, the Lord sees the good within us and keeps coming, knocking at the door of our hearts, encouraging us to come closer to him. Several years ago there was a basketball player by the name of Nate Archibald. When Nate finished college, most of the professional teams ignored him because they thought he was too short. In fact his nickname was ‘Tiny’. The Cincinnati Royals decided to take a chance on Nate and signed him to play on their team. Well, Nate made it big in the NBA because he was lightning fast, had good hands, and was a great shooter. He played in the NBA for fourteen seasons and became known as the player who proved that a ‘little man’ could play in the NBA. Just look at some of the honours he won: He was named to the All-NBA team five times. He was named to the NBA All-Star team six times. He was elected to the NBA Hall of Fame. Not too bad for a man most people thought was too short to play in the NBA. –The Bible tells us about another short man who became great, even though he was not very tall. His name was Zacchaeus. Zacchaeus was not only short; he was hated by almost everyone because he was a tax collector. As a tax collector he often cheated people and collected more taxes than they owed. When he heard that Jesus was passing by he made an attempt to climb a tree to see Jesus. 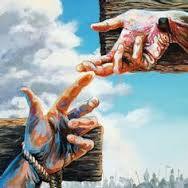 Jesus saw him and called him by name and went to his house and Zacchaeus was changed forever. When Jesus enters our lives our shortcomings, our handicaps do not matter at all. Salvation comes to this house . . .
Teenage Daughter had been in a foul mood for what seemed like an eternity. When her wise and patient mother had had enough of the sulking and rudeness, she sent the rest of the family off to the movies. Loading up with her daughter’s favorite ice cream, Mom called her into the kitchen and asked her to have a seat. Mom scooped two big bowls. Nothing was said for a long time. But by the second scoops, the teenager began to open up. Mother and daughter talked the afternoon away. Because of a mother’s patience, love, and a couple of pints of Ben & Jerry’s . . . salvation comes to this house. It was a hard sell, but everyone (to Mom and Dad’s surprise) bought into the idea. When their kids were older, they began a new family tradition. On a child’s birthday, he or she would choose a charity, and the family would use the money that would have been used for gifts to make a donation in the child’s name to that organization. The honoree would keep the decision secret until the birthday dinner; then, before the guest of honor blew out the candles on the cake, he or she would announce what charity would receive the gift and why. The tradition required some homework on the part of the birthday boy or girl (or parent), but everyone looked forward to being able to support a cause important to them. Parents instilling in their children a sense of gratitude and a spirit of generosity . . . and salvation comes to this house. Every family has experienced some kind of short-term disaster: an unexpected illness, a sudden job loss, an unplanned-for budget-crippling expense. So when it happened to this family, Mom and Dad gathered everyone together, explained what had happened and why, and what every one — from the oldest to the youngest — could do to help get the family through the situation. And got through it they did — and along the way they became a closer, more understanding and loving family. With selfless love and patient understanding, a family can make it through hard times together . . . and salvation comes to this house. In our own humble efforts at kindness and understanding and our seemingly inconsequential acts of generosity and forgiveness we can bring to our own homes the salvation that Jesus brings to the house of the faithful Zacchaeus in today’s Gospel. May we always extend the invitation to Jesus to come as the unseen guest into our homes and communities, helping us make the four walls of our own homes places of peace and safety, harbors of forgiveness and joy for one another, houses where God’s salvation has come. We owe Luke a great debt. For in his Gospel alone is told a dramatic story that encapsulates for us what the mission of Jesus was all about, and in turn what the mission of the church is all about. The event happened while Jesus was passing through Jericho, the city of palms. Writes Luke: "And there was a man named Zacchaeus he was a chief tax collector, and he was rich." In one sentence we are told the story of a human life. Here's the background. Nothing in first century Judea was quite so hated and despised as was the Roman tax. It not only reminded the Jews that they were a subjugated people, it also represented a theological affront. To the Jew there was only one King, and that was God, not Caesar. Paying tribute to an earthly non-Jewish monarch was something that the Hebrews had opposed throughout their long history. But there was more. The dirty work of collecting the tax was done not by the Romans, but by collaborating Jews. To make matters worse, some of the money that they collected off the backs of their fellow countrymen stuck to their own fingers. We are told that Zacchaeus was a chief tax collector. That is the only time in the New Testament that that term is used. It meant that he was over an entire district. Zacchaeus may have been short in stature, but he had wealth and wealth means power, so, in a manner of speaking, people looked up to him. Zacchaeus was the little man with the big reputation. He was not just well to do. According to Luke, he was rich. The classic children's book, The Phantom Tollbooth (1961), tells the story of a young boy named Milo. One dull, rainy afternoon Milo receives the anonymous gift of a cardboard fold-and-cut tollbooth. Bored Milo builds the tollbooth and "drives through" it with his toy car. Immediately Milo disappears from his room and finds himself traveling along a strange road in a new land. But despite this miraculous relocation, as the road continues on and on, and the countryside rolls by and by, Milo begins to grow bored again. He spaces out and begins to be completely oblivious to his surroundings. He doesn't even notice as his car begins to go slower and slower and then finally coasts to a complete stop. Rousing lightly from his stupor, Milo finally notices there are strange little creatures draped over the hood of his car, snoozing on his head and shoulders, snoring on his dashboard. When the boy demands to know what is going on the sleepy creatures inform him that they are "Lethargians" and tell Milo that he and his vehicle are now firmly stuck in a place known as "The Doldrums." Of course literally the "doldrums" is actually an old nautical reference to a "dead zone" - a place where there is no wind to fill up the sails, no strong currents to guide a vessel along. Getting out of the "doldrums" takes a purposeful expenditure of energy, a muscle-powered desire to move forward. One of the most famous composers had a rebellious son who used to come in late at night after his mother and father had gone to bed. And before going to his own room, this rebellious son would go to his father's piano and slowly, spitefully... and loudly would play a simple scale, all but the final note. He would play, "Do-Re-Mi-Fa-Sol-La-Ti..." and then he wouldn't strike that final "Do." Then leaving the scale unfinished, he would retire to his room. Meanwhile, his father (great musician that he was) hearing the scale minus the final note,... would twist and turn and writhe on his bed, his mind unable to relax because the scale was not finished. Finally, not able to stand it any longer, the father would crawl out of bed, stumble down the stairs and strike that final note of the scale. Only then could he relax and be at peace. - We forgive, but not completely. - We love, but not completely. - We serve, but not completely. - We accept Christ, but not completely. - We live the Christian life-style but not completely. - We commit our lives to God, but not completely. But then, even when we treat God shabbily, in his infinite patience and amazing grace, he continues to reach out to us and he continues to love us. Didn't You Hear the Bells? One time a blind man was invited to attend the wedding of a friend. The couple had chosen to be married in a village church that was known for its picturesque qualities. As the couple left the chapel, the mother of the groom said to the blind man, "What a pity that you couldn't see the chapel. It really is so lovely. And such a pretty garden." She later repeated this to some mutual friends at the reception. The blind man just shrugged his shoulders each time and changed the subject. He thought to himself, "didn't she hear the bells?" For him, the bells that had rung before and after the ceremony had been magnificent. He was astonished at their tones and the patterns that they made. For him they had created an atmosphere of joy and sacredness. The blind man finally concluded that the mother of the groom may have seen the lovely chapel but she missed the sound of the bells. With all her senses she had only experienced part of the beauty. Zacchaeus was blinded by his selfishness, but that did not keep Jesus from seeing him as a whole person. Jesus wanted to stay with Zacchaeus. To miss this part of the story is to remain in the dark. Jesus had to go to his house because this represented what Jesus was all about; giving grace toward those who are lost. In the gospel of Luke, Zacchaeus became the symbolic recipient of the grace of God toward lost humanity. There is no limit to God's grace. There is even hope for the greedy and powerful. By staying with Zacchaeus, Jesus demonstrated that the grace of God extends to everyone, especially the lost. A famous preacher once said, "When people tell me that human nature cannot be changed, I am moved to reply that in light of my experience, human nature may well be the only thing that CAN BE CHANGED!" We cannot change the course of the moon or the sun. We cannot change the laws of the physical world. We cannot change the movement and flow of the ocean. We cannot change the stars in the skies and the course they move in. However, the Bible pulsates with pages of testimonies of the lives, purposes, events, and habits which have been changed and can be changed. 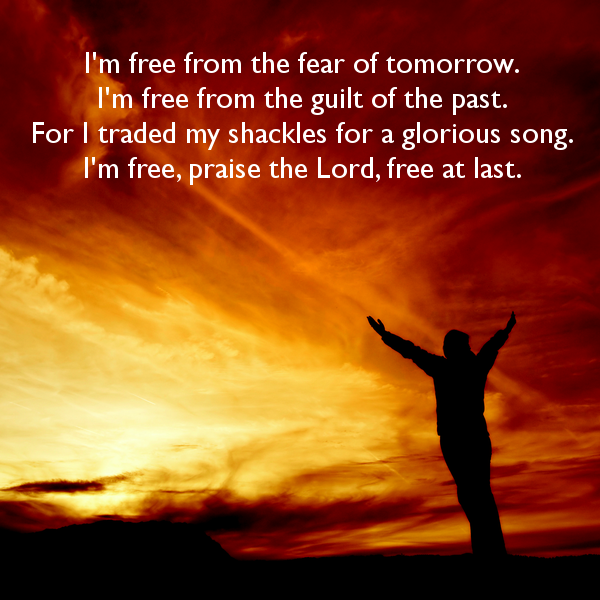 Author Charlie Shedd gives us a wonderful example of this truth from his own family life. Charlie's daughter had a science project to do for school, but neither Charlie or his wife were much help with the technical aspects. The saving grace was their next door neighbor, John, who helped the daughter with each part of her project. Finally came the night when the daughter had to put the whole project together. She was in tears about what to do first until she called John. John said simply, "Why don't you bring the whole thing over to my house, and I'll give the pieces in the right order, so you can finish your project." That is what happened when Zacchaeus let Jesus take control of the pieces of his life, and put everything in its proper order. When we let Jesus Christ take control in our lives, we can truly say with Zacchaeus, "Today salvation has come to this house." Mrs. Billie Cannon, a Knoxville, Tennessee homemaker, was preparing to paint her back porch. In order to protect the floor, she very carefully placed around the edges a strip of Scotch tape-the kind with adhesive on both sides. It was her plan to place a drop cloth over the floor and secure it with the tape. Having succeeded in placing the tape around the entire surface, she went back inside the house to get a drop cloth. Returning to the porch sometime later, she found that all of her carefully placed tape was gone. She was completely mystified. Where could it be? Who would possibly have taken the time to pull up that tape and why? As she was surveying the situation and mulling over her puzzling predicament, she noticed something moving in her back yard. Looking closer she discovered that it was a snake. It was a rather large creature of its species, but it was no threat to her. It was hopelessly immobilized by being totally enmeshed in a large ball of Scotch tape. Evidently while Mrs. Cannon was in the house the snake had crawled up on the back porch and had eased itself onto that tape with the adhesive on both sides. Sensing that the tape was sticking to its skin, the snake obviously put up a terrible struggle. In doing so it pulled every bit of tape from the floor. The harder it fought, however, the more hopelessly it became entangled in its cellophane prison until now it was totally captive. That poor snake reminds me of many people I have known. Somewhere along the way they have made a serious mistake. 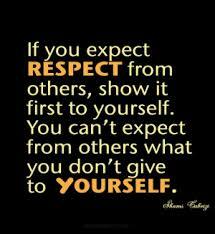 Then, rather than calmly analyzing their situation and correcting their course, they have reacted impulsively. Soon their lives are like that snake's. The more they struggle, the more entangled they have become until eventually they are totally immobilized psychologically, emotionally and spiritually. There are many who are bored, burned out, lonely and empty. Many people have tried to substitute the accumulation of things for good relationships, but no matter how much they get, something is still missing in life. Their pipe does not go down deep enough to draw living water, and they feel lost. There was a little boy who got separated from his parents in a large shopping center. The Security Department quickly located the child, and took him to an office while the frantic parents were paged over the public address. One of the security guards got a large ice cream cone for the boy, so when his parents arrived at the office, there was their little son happily eating his ice cream. Suddenly, as his parents embraced him, the child burst into tears. One of the security guards said, "Gosh, I guess he didn't know he was lost until he was found!" 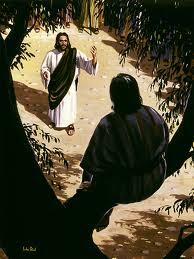 Jesus once met a man named Zacchaeus who was like that. 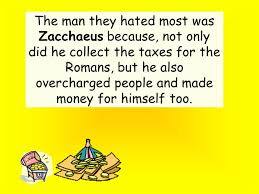 Zacchaeus was a Jew but he worked for the Romans as a tax collector, and he was about as popular as folks today who work for the IRS! In those days tax collectors gathered their funds with a little help from the Roman Army, and when Rome's needs were met, they could collect as much as their ingenuity permitted. Zacchaeus may have been small of stature, but he was a "big man" among the tax collectors. In fact, he was a "chief tax collector." He had a big home in Jericho, a very comfortable life, and although he had more enemies than friends, Zacchaeus outwardly appeared very successful. There's an old story about a fisherman who was very successful. Every morning he went out on the lake in a small boat and when he returned a couple of hours later, his boat was loaded down with fish. He never failed. People wondered how he did it, even when others were not catching anything at all. He always came in with his boat just overflowing with fish. One morning a stranger showed up with his fishing tackle and said, "Mind if I go fishing with you this morning?" "No," said the fisherman. "Just hop in and we'll go over to a little cove where I always have good luck." The man hopped in the boat and off they headed across the lake until they came to a small cove. The old fisherman stopped the boat and cut off the motor. He reached over in his tackle box and took out a red stick of dynamite. He lit the fuse and held it for a moment as the fuse burned down. Then at the last moment he tossed it in the water and there was a tremendous explosion. Fish were everywhere on the water. He picked up his net and began scooping up the fish. After watching this for a moment the stranger reached in his pocket and pulled out his wallet. Opening it up, he showed a badge and said, "I'm a game warden and you are under arrest." The old fisherman simply reached over into his box and pulled out another stick of dynamite. He lit it and held it as the fuse burned down. Then, he tossed it to the game warden and said, "Now, are you going to just sit there or are you going to fish?" There comes a time when we all have to decide - who we're going to be and what we're going to do! That was true for the game warden and that was true for Zacchaeus in our text for today. He had a crucial decision to make - and it would change his life forever. C.S. Lewis has this really helpful illustration. He says that in the incarnation, Jesus was like a diver. He is God in heaven looking down into this dark, slimy, murky water. That's our sinful, polluted world. God dives in, He gets himself wet. And then God came up again, dripping, but holding the precious thing he went down to recover. That precious thing was Zacchaeus, and you and me. All those sinners who have trusted in Christ. That's how we get out of the slime of tax collecting, or cheating, or lusting, or hating, or whatever other self-destructive sin we are buried in. God in Christ descended down into the slime and rescued us. Resolutions and vows to be better won't help by themselves. We don't have the power to keep them. We are stuck on the sea bottom. We have no power of our own to get up or out. All we can do is cry out for God's grace to lift us up, to rescue us. Many of you have seen the delightful Broadway musical and motion picture, "My Fair Lady." It is based on George Bernard Shaw's wonderful play, "Pygmalion." It is about a brilliant professor, Henry Higgins, who transforms a humble flower girl, Eliza Doolittle, into an elegant English lady. In the midst of her brilliant transformation, Eliza falls in love with Henry Higgins, but he treats her only with disdain. Towards the end of the play, she expresses her complaint to their mutual friend, Colonel Pickering: "You see," she says, "Really and truly apart from the things anyone can pick up (the dressing and the proper way of speaking, and so on), the difference between a lady and a flower girl is not in how she behaves, but how she is treated. I shall always be a flower girl to Professor Higgins, because he always treats me as a flower girl, and always will; but I know I can be a lady to you, because you always treat me as a lady, and always will." It is both interesting and encouraging to notice how Jesus treated people whether it be the woman of the streets or the tax collector in the tree. He saw something no one else could see. That is the first thing we need to see. 1: Life is Worth Living. Some years back, a radio/TV program captured the attention of millions throughout the world, particularly the English-speaking segment. It was Bishop Fulton Sheen's program Life is Worth Living. The opening, dramatic lines spoken by the Bishop as he introduced the program were, "Is life worth living, or is it dull and monotonous? Life is monotonous if it is meaningless; it is not monotonous if it has purpose." Today’s readings tell us that life is worth living, if we are ready to experience the Mercy of a forgiving God who accepts us as we are. 2: A man who decided to change himself: William L. Stidger in his book, There are Sermons in Stories, once told about the owner of a small drugstore. For some reason, this druggist hated his work, so he spent his mornings looking for something better and his afternoons at the ball park. He soon decided it was foolish to leave a business about which he knew something for one about which he knew nothing. So he decided to make the best of what he had. He would build up his business by giving the best service possible. When a customer who lived near would call in an order on the telephone, he would repeat each item being ordered and his assistant would fill the order. With the order filled, the owner would keep the customer on the line while the delivery boy dashed out the front door. When the delivery boy reached the house of the customer, who was still on the line with the drugstore owner, she would excuse herself for a minute to answer the door. Coming back to the phone she would express great surprise at the quickness with which the order was delivered. News got around about the drugstore that filled orders so promptly, and soon Charles R. Walgreen, founder of the great Walgreen drugstore empire, had more business than he could handle. Walgreen said his work was easy, like a game, and he soon found great joy in what he had once despised. [Rev. J.B. Fowler, Jr., Illustrated Sermons for Special Occasions, (Nashville, Tennessee: Broadman Press, 1988).] Walgreen decided that, since he could not change his situation, he would change himself. That is what Zacchaeus did in today’s Gospel story.